"Stewart Cink’s return to form gathered pace in Missouri, while Shane Lowry might attract some business this week." 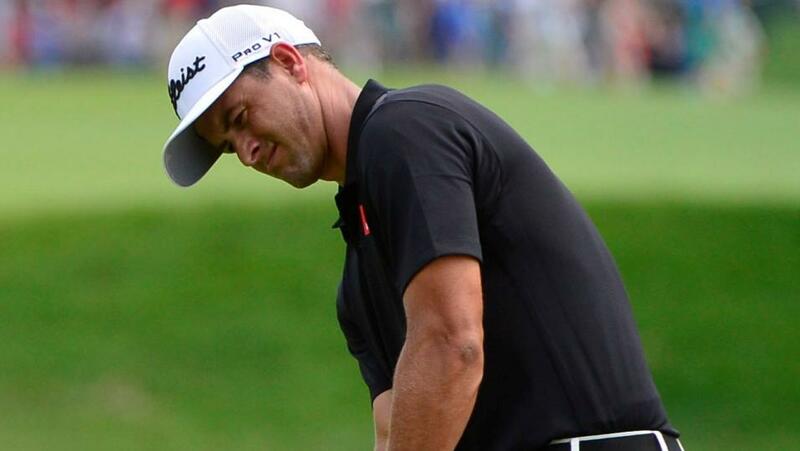 The major championships may be over for another year but, for many on the PGA Tour, the season reaches boiling point at this week's event in North Carolina. The Wyndham Championship is, once again, the final tournament ahead of the season-ending FedEx Cup Play-Offs. And while some of those teeing-up will be hoping to improve their positions in the FedEx Cup standings, before the four-event finale starts next week, the focus for many others will simply be to secure their Tour cards for the 2018-19 campaign. Those who fail to reach the top 125 of the standings by Sunday evening, will experience an abrupt end to their season, and be left to ponder a likely year on the Web.com Tour during 2019. Sedgefield Country Club is a 92-year-old venue which first staged this event in 2008. The course underwent a major restoration project in readiness for the first Wyndham tournament 10 years ago, with $3m spent on bringing the venue up to the required standard. Although not the longest of courses, accuracy off the tee is the key to scoring low at Sedgefield, with a particular emphasis on finding the correct angle with which to attack the flag from the fairway. The Bermuda grass greens are undulating and generally slope from back to front. This well-wooded parkland course has also hosted the Tour's Greater Greensboro Open on many occasions, during a four-decade spell through to 1976. Among the players with a strong course history is Webb Simpson who is enjoying one of the best seasons of his career. Winner here in 2011, Simpson has had five other top-12 finishes on the course and currently stands No 20 in the World Ranking. Fellow Americans Brandt Snedeker and Bill Haas have done well at Sedgefield in the past, although the latter is on a run of five successive missed cuts and hasn't posted a top-10 since mid-April. Snedeker, however, is slowly turning his season around and is now up to No 80 in the FedEx Cup standings, having been struggling in early June. Adam Scott is teeing-up in the Wyndham for only the third time, and will be full of confidence following his podium finish in Sunday's PGA Championship. This was the 38-year-old Australian's highest finish in the States since March 2016, and his best in a major for over five years. Rafa Cabrera-Bello, who was fifth in this event two years ago, sneaked into the top-10 of last week's major and the Spaniard usually plays well in bursts. Stewart Cink's return to form gathered pace in Missouri, while Shane Lowry might attract some business this week. The Irishman, who was seventh at Sedgefield last year, has finished inside the top-15 on his most recent three outings on the PGA Tour. He also requires a good finish this Sunday to book his spot in the opening phase of the Play-Offs. And further down the pecking order you'll find Rory Sabbatini, Harold Varner and William McGirt who may be worth keeping an eye on this week. All three have had top-10s at Sedgefield, while their current form is not too shabby either. Meanwhile, teenager Joaquin Niemann is teeing-up without the pressure of preparing for the forthcoming FedEx Cup Play-Offs, so should be suitably relaxed.